Urbanists, Architects, Reseachers, Environmentalists, Engineers, meet to discuss and decode functioning of the cities over two weeks and six sessions to elaborate on various pillars of ‘a smart city’ and the way ahead, under Boomerang Festival. 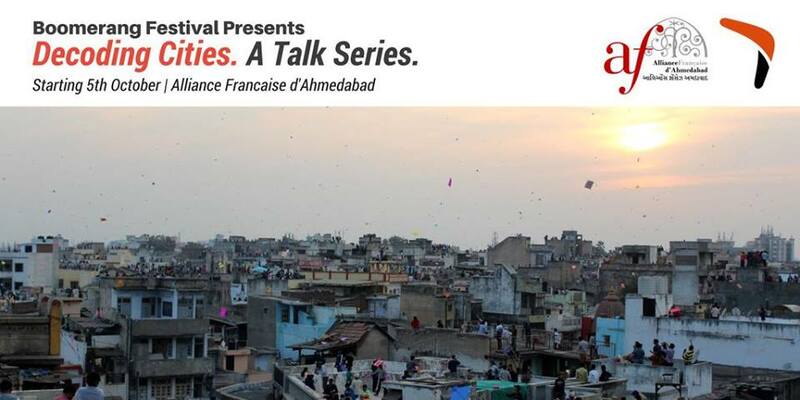 The talk series and panel discussions are open to all and free for participation. 7th October (07:00 PM) | Heritage Preservation, UNESCO, what next? 13th October (07:00 PM) | It’s not all Junk! A special thanks to all the companies/organisations/panelists/NGOs contributing to the festival and especially Architecture with Difference to co-curate the festival.